Have yourself a very Muji Christmas! There’s one in every family – the person who has everything or those that fall into the hard-to-shop-for category, it’s time to shop for a unique gift, possibly something with a novelty edge, and you can do just that at Muji! 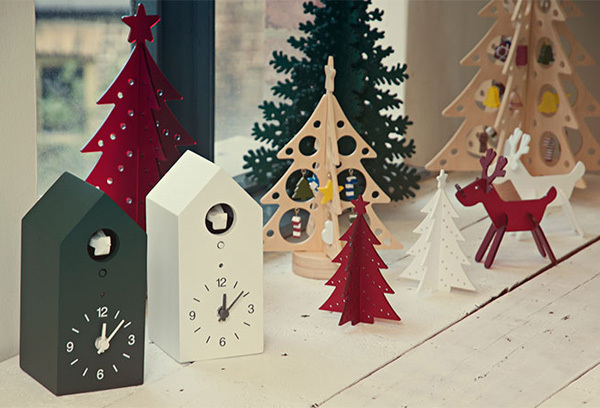 We adore the quirky nature of Muji – where else would you see such awesome Christmas wares to deck your halls, with finds that include a Blackboard Snowman and Tree set (£9.95), Reversible tree cupcake stand (£5.95) and beautiful red or white Acrylic trees (available in two sizes and priced from £3.95). There is a virtual sleigh overflowing with fun gift finds at Muji. Scottie dogs appear to be a popular choice with Scottie dog toy blocks, Scottie dog noughts and crosses and even a Scottie dog soft toy available. I love the prospective challenge associated with the Penguin stacking game and my seven-year-old would have no less than a hundred questions about the visually stunning Wooden Solar System. There really is something for everyone (young and not-so-young) here! Sadly Muji Online doesn’t ship directly to Australia as yet, so a freight forwarder will be required or a favour called in on a friend residing in one of the countries Muji do ship to! Or, if you happen to be in Melbourne, just pop into the new Melbourne Muji store that we told you about last week.